I’m not often quoted. Seldom have I said anything original that is worth being repeated, but a few years ago I made a statement which some people have picked up on. Let me explain. For the past ten years I have co-hosted a radio show on secular stations. We have had several names for the show. The current version is called “A Show of Faith.” The show airs weekly Sunday nights from 7.00 to 9.00 pm on 1070 KNTH in Houston. We stream it live over the Internet at http://www.1070knth.com/. I relate all of this because of the context. Often, when we talk about events in the news, politics come up. Now that the election is over, Congress is in hearings, and the President prepares for his annual “State of the Union,” we think about how people ought to engage in the politic process. Talk radio, the 24 hours new cycle, and Internet news brings events and politics into our world at the speed of light. While many want to separate church and state–so much so that there is never any contact between them—I don’t think it is completely possible or even desirable. Let me say it this way. We may be able to pass rules and create policies which keep any one religion from dominating our public life, but I don’t think that it is possible to compartmentalize our lives to the extent that faith does not inform our citizenship. When American citizens step into the voting booth, they take their faiths with them. When they vote, they vote values which have been formed by their faiths. When citizens hold public office (from president to dog-catcher), they govern and make decisions based in large measure on the values they have been taught through their faiths. 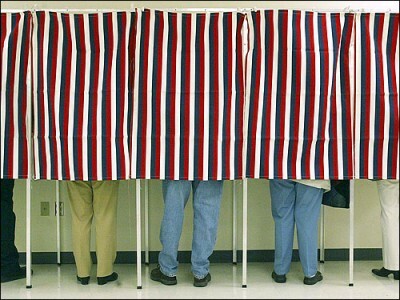 In a complex world there may be competing values, but in the end mature citizens must cast a vote or make a decision. “The line of separation between church and state” does not run neatly through a man’s soul. It is incumbent upon all of us to draw strength and direction from our faith traditions in order to think about what is a “good life” and a “good society.” There are competing visions in the arena of ideas, and we need to be players not just spectators. We dare not let those who wish to silence our voices succeed. As a university, we have a strategic role to play in shaping the citizens that make us this great country.